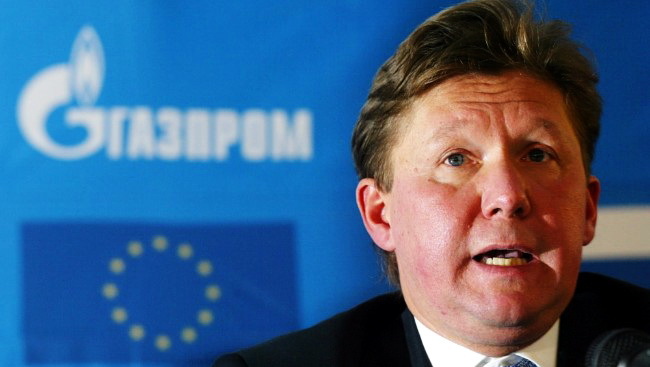 The seeds were planted months earlier, when Gazprom-owned Zenit general director Maksim Mitrofanov warned his club “might decide to not participate in the Russian championship.” His statement came after harsh sanctions were imposed on Zenit for the flare thrown at Dynamo goalie Anton Shunin during a meeting between the two clubs in mid-November. Mostly everyone riduculed Mitrofanov’s threat because at the time it made absolutely no sense. The love affair between St. Petersburg and Zenit is unrivaled in Russian football; where could the club possibly go? Early reports even stated that Zenit’s board was considering a move to Sevastopol, a town of 350,000 in Ukraine’s picturesque Crimea. Soon, however, Russian football got its answer. Why go to Ukraine on your own when you can bring half the Russian league with you? Like Mitrofanov before him, Remchukov, owner and editor of Nezavisimaya Gazeta, was met with incredulity. Certainly matches between Dynamo Kiev and Spartak Moscow would draw increased interest, but where, many wondered, would they dig up $1 billion? At present, the Russian and Ukrainian leagues earn less than $100 million per year in TV money combined. Indeed, outside of club boardrooms, very little support could be found for the project. No one disputed the increased competitiveness of the proposed league, but few could believe the organizers’ ridiculous revenue estimates, not to mention a litany of other concerns; league format, increased travel, the impact on lower-table clubs and Russian and Ukrainian players in a league certain to attract more foreign stars, and distribution of Champions League and Europa League spots. However, the one real debate worth having was far simpler: Could Gazprom-backed Zenit, Suleiman Kerimov’s Anzhi and CSKA Moscow be trusted in an endeavor that would radically reshape Russian and Ukrainian football? For most, the answer was no and it went much deeper than a healthy skepticism of the new league’s $1 billion valuation. To understand why, it might help if we rewind a few decades. Children born in the Soviet Union’s post-World War II generation grew up in a golden era of football. 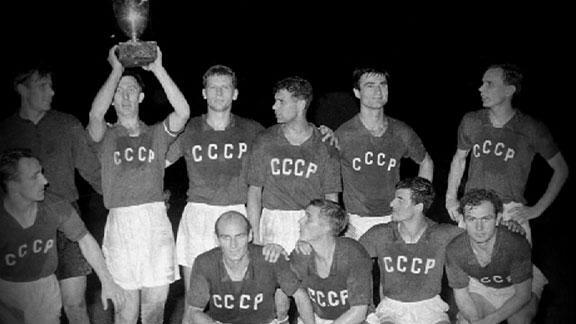 In those years, the Soviet national team had few rivals in Europe, winning the continental championships in 1960 and advancing to the semifinals of the 1966 World Cup. Domestically, Dynamo Kiev and Spartak Moscow regularly averaged over 50,000 fans per game. Overall, the league drew approximately 35,000 at its peak in the 1960s and 1970s. Those are just memories now. Russian football tanked after the collapse of the USSR. Attendance hovers between 12-13 thousand; TV ratings have plummeted 75% from their Soviet peak. The Russian national team did reach the Euro 2008 semifinals, but has qualified for the World Cup only twice (1994 and 2002), bowing out in the group stage both times. All the while, Russian clubs like Zenit, Anzhi and CSKA plow hundreds of millions into transfer fees and salaries – investments that have little discernible return apart from feeding their owners’ ego and occasionally bringing home a league title. With stadiums rotting, the fan culture notoriously violent, allegations of corrupt refereeing and fixed matches rampant, and youth football in disarray throughout most of the country, the bigwigs at the top are the easiest target. Indeed, the 16-member Russian Premier League, formed in 2001, is openly mocked for its reluctance to tackle match-fixing allegations and inability to boost its popularity. More recently, the league corralled Russian football into matching Europe’s autumn-spring calendar. Intended to help a handful of Premier League clubs compete in Europe, the switch had a disproportionately negative impact on Russia’s lower leagues, particularly clubs in Siberia and Russia’s far north. Frigid temperatures, antiquated facilities and muddy pitches made November and December football a marketing and competitive disaster. CSKA and Zenit led the charge on the calendar change, despite opposition from the Professional Football League (PFL), the governing body for the lower divisions. The conflict became so heated that the PFL actually lost its licensing from the Russian Football Union, shutting its doors in December 2010 after 18 years of service. 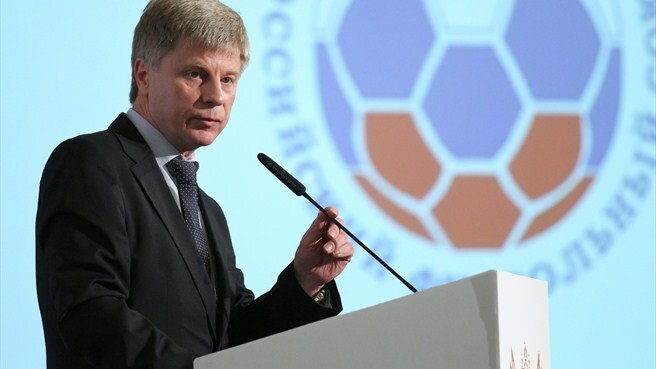 Now, in an ironic twist, former PFL president Nikolai Tolstykh runs the Russian Football Union (RFU), which, along with its Ukrainian counterpart, must approve the proposed international league before a proposal can be brought before UEFA and FIFA. Zenit and co. do have supporters. Fourteen of the 16 Premier League clubs attended the February 18 meeting at Gazprom headquarters and most came away supportive, even former opponents such as Spartak and Lokomotiv. Not surprisingly, both clubs cited Gazprom’s involvement and financial support as the primary reason for the change of heart. In just over a year, UEFA begins fully enforcing Financial Fair Play regulations. Clubs that don’t meet the standards face stiff penalties, including bans from European competitions. Six Russian clubs, according to a Sports.ru report last October, spend more than $100 million annually. 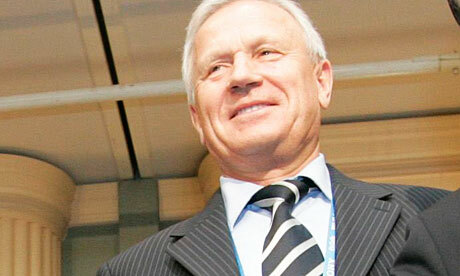 As for profit, none bring in more than Zenit, who earned $59 million last season. The outlook is just as bleak at the bottom of the league, where, despite lower costs, revenue is non-existent. Despite solidarity from most of the Russian clubs, the United Championship faces an arduous battle to gain certification. RFU chief Tolstykh is yet to comment on the potential league, preferring to wait until organizers have submitted the documents needed to begin negotiations in earnest, but several of his supporters have come out swinging. No one knows, either, what the response will be from the Ukrainian clubs. They must deal with similar Fair Play concerns, but political opposition to an alliance with Russia of any kind is strong, as well as concern that uniting with the deep-pocketed Russian league might be too much for all but the top Ukrainian clubs. Though each country would begin with an equal number of representatives – nine –organizers have stressed that relegation and promotion would not be tied to country, meaning Ukraine could end up with only six or seven clubs within a few years. That would be a dramatic reduction from the sixteen teams presently competing in the top flight of Ukrainian football. The most controversial effect, of course, would come in the reduced number of European cup places available. Six clubs currently qualify for European competition from both Russia and Ukraine – two Champions League and four Europa League. The number of places available in the United Championship would at most be seven – four Champions League and three Europa League. The United Championship’s $1 billion prize fund, however, might ease Europa League qualification concerns, given its paltry earning potential in comparison to the tens of millions of dollars being dangled before potential participants by Gazprom. Indeed, big money and big names are driving this Championship forward. No one knows if that will be enough to overturn the court of public opinion and the entrenched opposition they’ll meet at multiple levels. Regardless of the outcome, however, the biggest fireworks are likely still ahead. This entry was posted in Analysis and opinion and tagged anzhi, cska, gazprom, lokomotiv, nikolai tolstykh, professional football league, russia, russian football union, spartak, uefa, ukraine, united football championship, vitaly mutko, vyacheslav koloskov, zenit by Andy Shenk. Bookmark the permalink.